Are you running a food truck business and want to grow it? Have you ever thought of developing a mobile app for your business? If not, compiled a few top reasons, which will let you aware of the importance of an app for business. As technology advances, our daily habits have experienced a lot of changes. Whether it is about booking a taxi or ordering food, everything has already transformed a lot There’s a new way of getting and ordering food that is via food truck. Yes, it provides a different way to order food. It would be better to say that the food truck niche is booming. This is due to the fact that it actually works. Also, it provides a less expensive way to sell food to food truck owners. In short, customers and food truck owners find a new way of getting food easy. 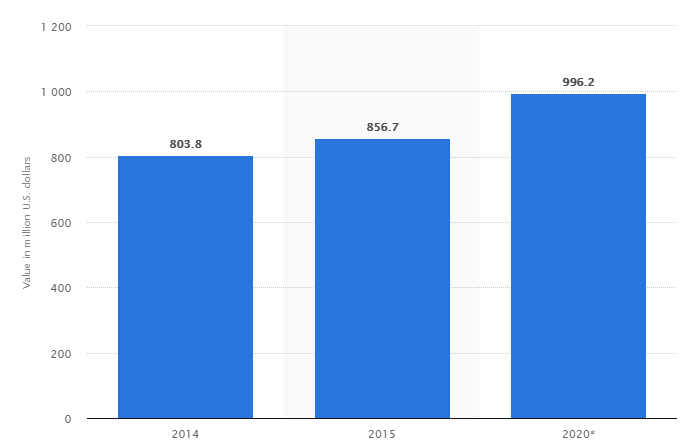 Shedding light on the value of the U.S. food truck industry, the U.S. food truck industry was valued at 856.7 million dollars, according to the report from Statista. The industry is forecasted to increase by another 140 million U.S. dollars by 2020. Between the year 2014 to 2015, California had the highest share of food trucks. According to the survey published by National Restaurant Association, consumers aged between 18 to 34 years were the most likely to purchase a meal from a food truck, followed by 54% of dinners aged between 35 and 44 years. 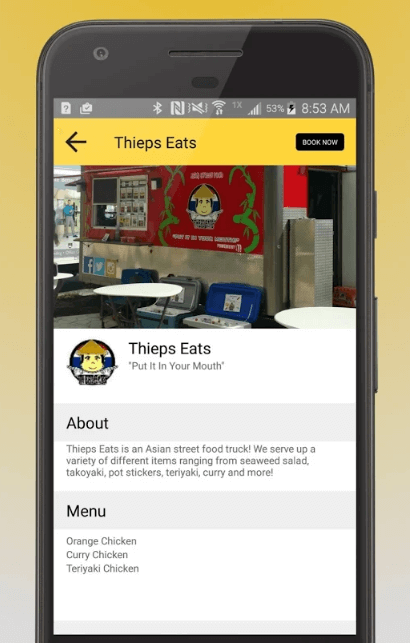 An app for food trucks makes it easy for customers to order food. Plus, food truck app users can easily find out the best deals on food. Moreover, food truck owners can introduce themselves as well as their specialties in food in front of the users via a food truck app. As a food truck owner, if you have not yet decided to develop a mobile app for your truck business, compiled a few top reasons, which help you to decide to create a mobile app for food truck business. As a food truck owner, an app for food truck allows you to set the offers for the day as per the choice of your customers. 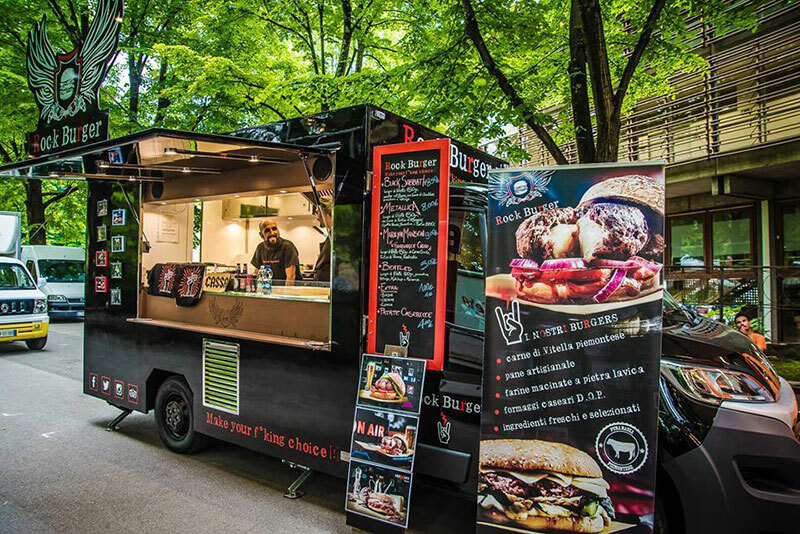 With an app for a food truck, you can generate offers and it provides a way to engage your customers with your food truck application. Once you are done with the setting offers for the day, users will get notifications about the offers. By doing so, you can keep your users connected with the app for a food truck. Apart from setting offers of the day, food truck owners also update the locations of the truck as they move according to the time. With such an advantage, you can make changes in locations as the time food truck owner moves. In addition, another benefit of considering an app for food truck business is that your customers or app users would not be able to see you until the truck owner updates its next locations. There is a growing trend of paperless transactions. This is not because it is on trend, but it embraces a lot of benefits along with the peace mind. As the food truck owner, your main thing of concern is to check the total sales of the day and expenses on a regular basis. By considering a mobile app for a food truck, it lets you make plans for the upcoming days, weeks or months. It also makes things easier for you as you can check inventory on a daily basis. In short, with an app for a food truck, you can seamlessly manage everything regarding your food truck business. Without the use of papers, a food truck app provides you the complete control of your business. 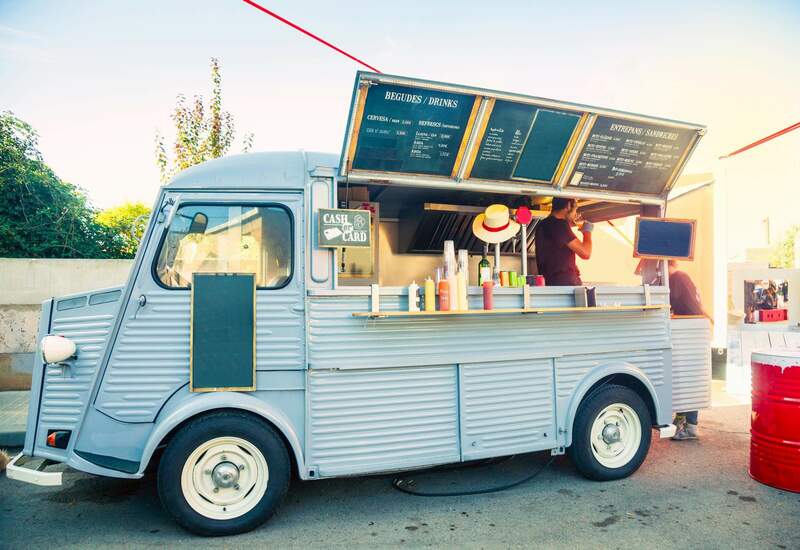 From paperless transactions to insights into the sales in real-time, a mobile app can do wonders for your food truck business. This is one of the greatest reasons, which help you to decide to develop a mobile app for your food truck business. A mobile application can help food truck owners in several ways. And, you’ve already gone through with the top reasons why you need a mobile app for your business. 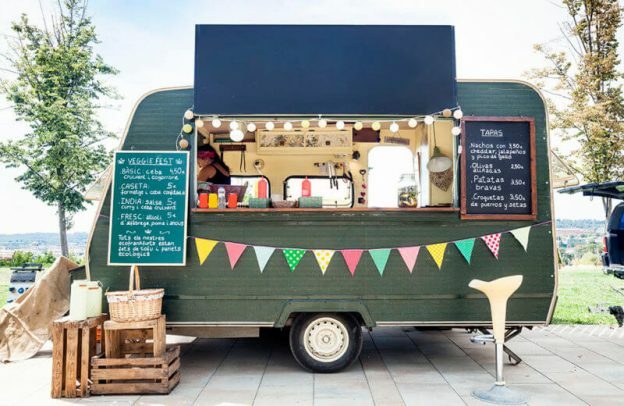 Being a food truck owner, an application will help you to customize your food truck business according to your customers’ needs. Well, there’s no room for doubt in that the food trucks are high in demand and it gives consumers a different way to get food. So, if you are having an app idea based on a food truck, you can cross-verify your app idea with us. 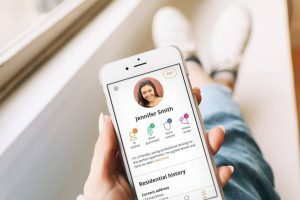 We’re a leading an iOS/Android app development company and have already developed over 3500 mobile apps in diverse app categories like 40 on-demand food delivery apps. Some of our successful food apps are Bevy and Fungry that come with unique features and functionalities like GPS real-time tracking, cross-platform ability, multi-lingual support, payment gateway integration, online support, and social media integration. In case, if you still have any query like the cost of making app for food truck business, mobile app development cost breakdown of food ordering app, how to make money with an app idea or the mobile app development cost in India, what is the right way to hire mobile app development agency, design and development of mobile application, then you can get in touch with us through our contact us form. Our sales representative will revert to you with optimal solutions. The consultation is absolutely free of cost. This page was last edited on April 4th, 2019, at 8:10.